Rome ancient romans, ancient rome, ask the expert, Hidden Gems, history, italy travel, lazio, Ostia Antica, roma, Rome, Travel ideas. permalink. If you walk down the main street of Ostia Antica, just outside Rome, you’ll be transported 2,000 years back in time to an ancient Roman world. Whether it’s the ruts in the paved road where horse-drawn carts laden with imported grain once trundled, or the beautiful black and white mosaics set into the pavements, signposting the old fishmonger or butcher’s shop, or the communal toilets where Romans used to sit and chat – yes, really – it all adds to the atmosphere, bringing to life a long lost civilization. 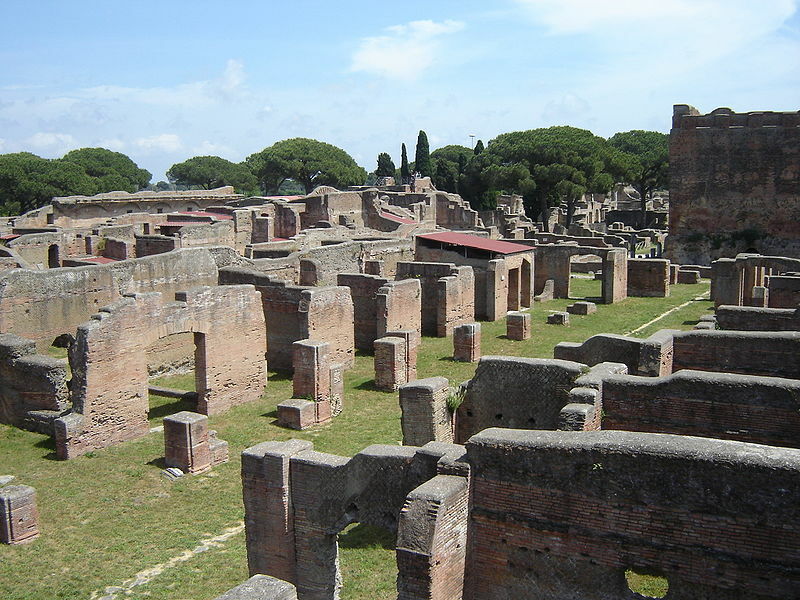 This is Ostia Antica, the Pompeii of Rome; let’s take a stroll. The name of this ancient city may not be one you’re particularly familiar with, but that’s hardly surprising since the settlement, although founded over 2,300 years ago, lay largely hidden for many centuries and its ruins were only rediscovered in the early 1960s. In fact, Ostia Antica is often known the ‘Pompeii of Rome’ for that very reason, but fortunately, unlike Pompeii, this town wasn’t a victim of an enormous, catastrophic volcanic eruption. But we’ll come to that later. Records showing when Ostia Antica was founded have long been lost, but legend tells that it was founded sometime between the 7th and 4th century BC as a military base to guard the entrance to the Tiber River that flows through Rome. Anyone attempting to invade the young city of Rome by ship, had to first get past the garrison at Ostia Antica. 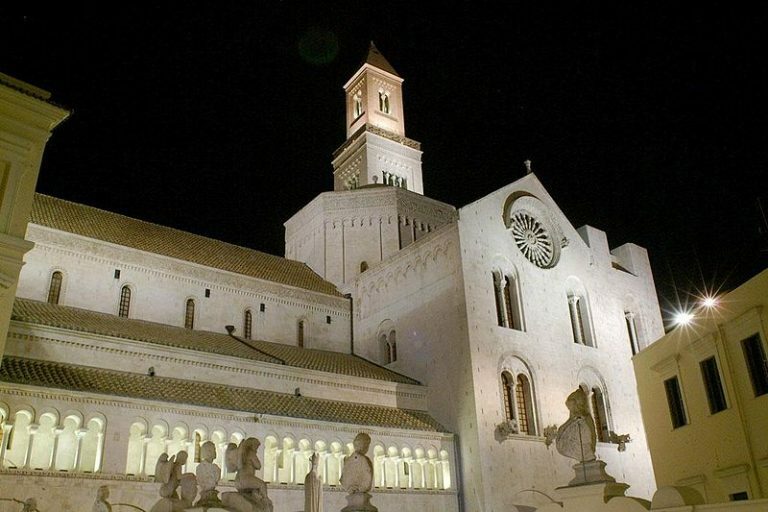 Consequently, the town quickly grew in strategic importance, ideally placed on the riverbank, overlooking the Tyrrhenian Sea. Ostia’s fortunes grew as Rome expanded, turning it from a military outpost into a flourishing commercial center and a vital port. In the early years, the main import was grain from Egypt, Sardinia and southern Sicily to feed the people of Romans. But as the empire expanded across Europe, the volume and variety of goods rose dramatically. Boats brimming with Bordeaux wine jostled for harbor space alongside ships full of silks and spices from the Orient. Greek boats came laden with classical treasures, Spanish ships brought horses and people from all corners of the Mediterranean poured into the port, looking for work or trade. By 100 AD, Ostia was a busy, bustling port that provided work and housing for over 100,000 people – around ten times as many people as lived in Pompeii. This was a truly cosmopolitan city. 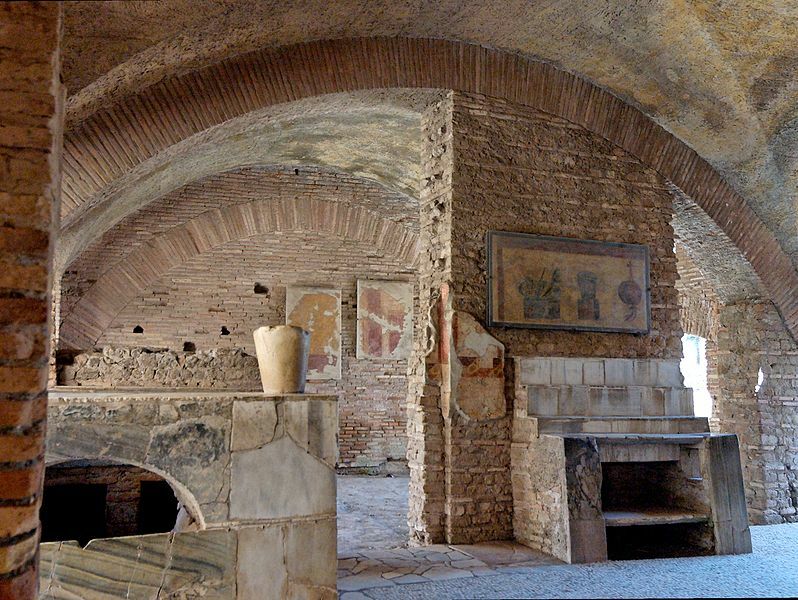 What is there to see in Ostia Antica today? Today the old port of Ostia Antica is no longer thronging with sailors or crowded with seafaring vessels laden with goods. In fact, the city is no longer even on the coast since the sea has retreated nearly two miles due to silt and mud clogging up the river’s mouth. But its wonderful ruins still sprawl across over 10,000 acres of the Lazio countryside, just as the busy city once did, so there is plenty to explore. Making sense of the buildings, roads and ruins that remain of Ostia, surrounded as it is by grasslands and meadows, takes some effort, and there’s just too much to see in one day. But with one of our expert guides, some of whom have spent years studying the site, you’ll start to peel away the decades and decay, bringing the city to life again. Your trip back in time starts with a pick-up at your Rome hotel, plus a short half-hour drive out of town towards Fiumicino Airport. But don’t worry, you’re not going home yet, it’s just that Ostia Antica sits close to this modern transport hub. As you step out of your air-conditioned sedan, your guide will lead you through the gates and along the streets of the ancient Roman city, explaining the history behind the ruins. 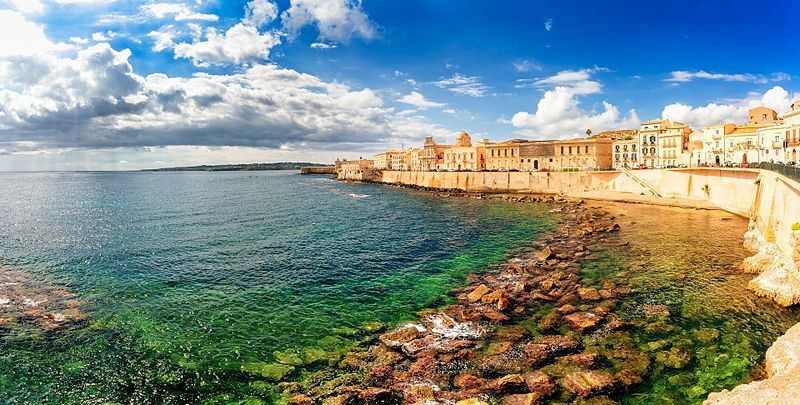 They will pick some of the best-preserved buildings and locations for you, from the old theater where you can imagine actors performing ancient plays and poetry, to the fluted columns of the market square where traders and shoppers bartered under the Mediterranean sun. Or why not stop off at the oldest known Jewish synagogue in Europe? Ostia was not only multicultural but also a place of multi-faith worship. Ostia is renowned for its residential buildings, too, so your guide show will you houses, homes and some of the first apartment blocks (insulae, meaning islands) ever built. These apartment buildings were a way of housing the new urban population in a small space, particularly lower and middle class workers who couldn’t afford larger homes. Shops occupied the ground floor, while the living quarters were upstairs. The buildings often rose to several stories, especially in central Rome, with the worst flats being on the top floor, in complete contrast to today’s architecture where the top floor penthouse is the most luxurious. Ostia also had wealthy residents, too, and unlike modern cities, the rich and poor lived cheek by jowl. 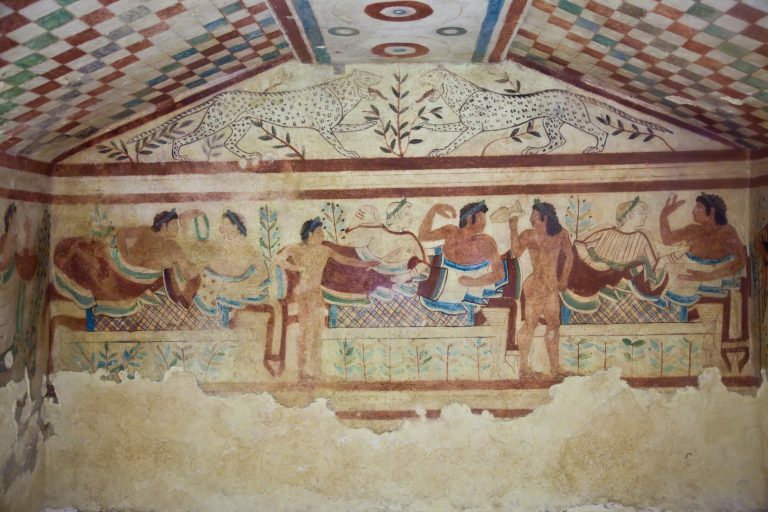 So your guide can show you how the citizens lived, pointing out some of the stunning black and white mosaics, so typical of the ancient Roman style – these decorated the private floors, public baths and even signposted the shops of the city. From complex geometric patterns to dazzling mythical and natural depictions of fish and dolphins Ostia’s, mosaics are undoubtedly some of the best still in situ. Why not see how many you can find with the help of your personal guide? 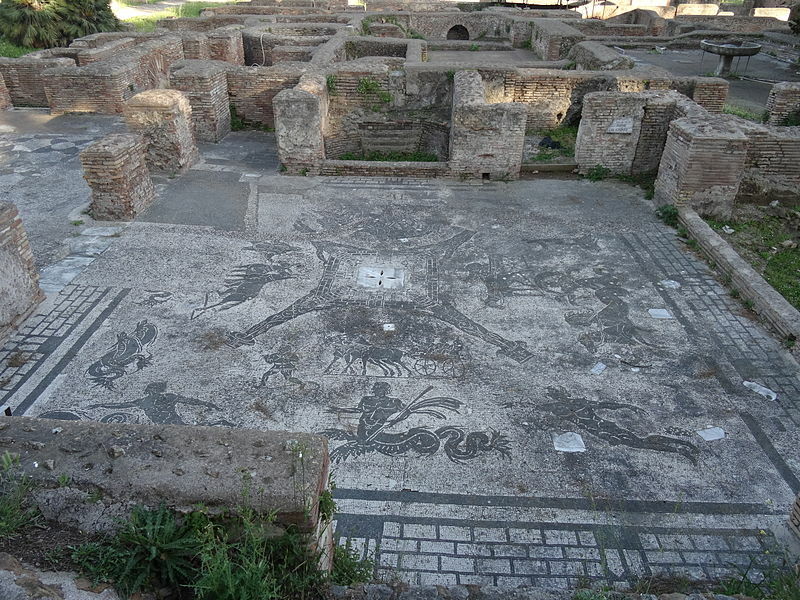 All in all, Ostia is an impressive and fascinating place to visit. It was ten times bigger than Pompeii at its height but today is ten times quieter, the busy streets silenced except for the constant chirrup of the cicadas. And while the imperial city of Rome is packed with ancient ruins of temples and government buildings, Ostia offers a more revealing insight into how real working people lived; a perfect illustration of the scale and style of domestic life for our counterparts of 2,000 years ago. Without the food and goods traded through this port, Rome would have struggled to grow so strong or so quickly; this was the city that kept the Romans fed and clothed. So if you’ve not yet ventured outside the ancient city walls that encircle Rome, Ostia Antica is the perfect place to start. 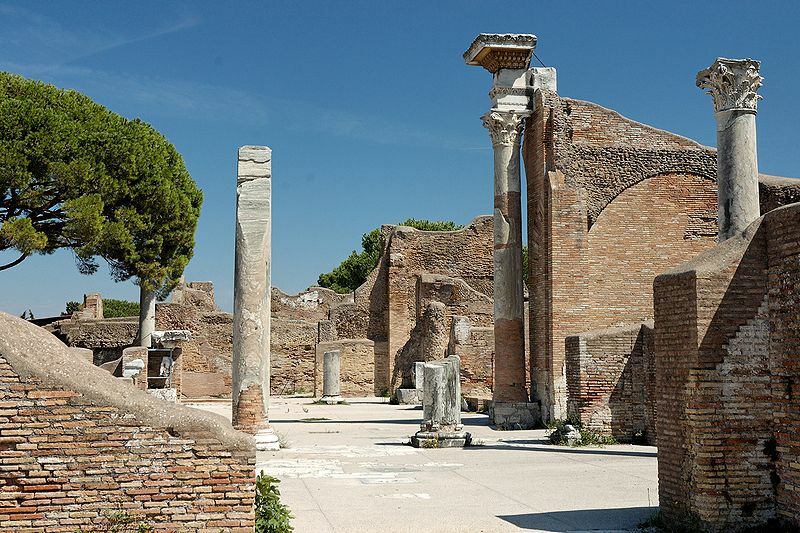 Here you can explore how the two cities’ histories entwined throughout the centuries and how Ostia’s success ultimately helped to build Rome.